Research shows that parents are the most powerful influence in a child’s life. What we say and what we do matters – our teens are watching us and taking it all in. So this St. Patty’s Day, let’s take a moment to think about how our own behavior with alcohol and other drugs impacts the impressionable teens in our lives. Try to reflect on your own drinking and how you “model behavior” because this may have a direct impact on the choices your teens make for themselves about alcohol and or other drug use. For example, after a stressful day, instead of saying “I need a drink,” try showing healthy ways to cope with stress such as taking a walk, deep breathing or stretching. Did you know? One in five parents acknowledge that sometimes they drink too much alcohol in front of their children or teen. Instead of making the focus of a party about alcohol, try finding healthy ways to whoop it up. Show your teens that parties can be lots of fun without drinking. Try themed parties with costumes and music, elaborate games, festive food, mocktails or green smoothies – or put the focus on helping others by asking guests to bring a can of food to donate to a local food pantry. Kids who learn a lot about the risks of drugs and alcohol at home are significantly less likely to use than those who do not get those critical health messages from their parents. Take some time to beef up on the short- and long-term effects of drugs and alcohol so you can talk about the risks with your teens. You want to be the one your teen turns to to share life’s ups and downs. 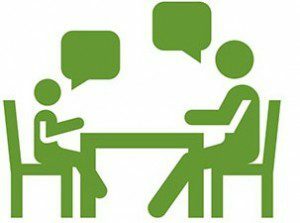 Ongoing meaningful conversations with your teen are essential. Especially about difficult topics like drinking and drugs, social pressures, emotional pressures, stress, etc. Think of yourself as a “loving detective.” Ask your teen lots of questions and really listen to the responses. Keep an open mind and remain calm, inquisitive and nonjudgmental. Offer your teen compassion and reassurance whenever you can. Only one-third of parents safeguard alcohol in their own homes, even though they have underage children living with them. It’s also essential to safeguard your prescription medications since teen medicine abuse is an epidemic. Keep your alcohol and prescription medicines safely locked away in your home – and tell the parents of your child’s friends to do the same. Wishing you and your family a happy, healthy and safe St. Patrick’s Day! 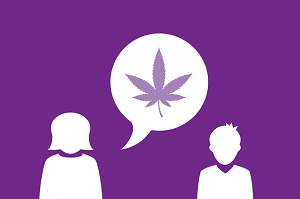 Learn why pot is still risky for teens, what you should and shouldn’t say when talking with your teen, and how to respond to their questions.